Book a One Way Taxi from Ludhiana to Chandigarh at the best prices for a quality service. 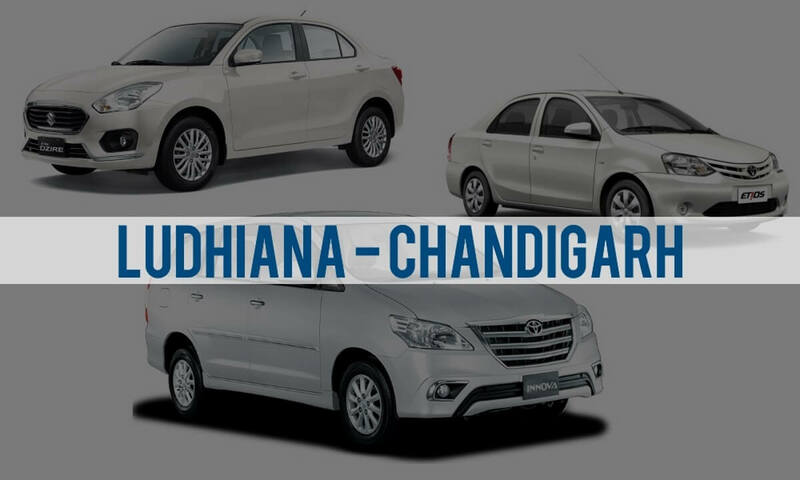 For Ludhiana to Chandigarh trip, Cabs available from all parts of Chandigarh, Pickup or Drop facilities available anywhere, Bus Stand, Railway Station, Airport… Worried about your extra luggage? Just inform us and we will arrange for a cab with a carrier for your luggage. Now book a confirmed One-way cab from Ludhiana to Chandigarh online easy step. The distance from Ludhiana to Amritsar is about 190 kms and it takes around 2 hours and 26 minutes to reach there by car. We ensure that your journey is comfortable and you may at your convenience halt anytime, anywhere for a short break during the journey on road. Your entire schedule can be very hectic if you have to keep changing your mode of transport within a city. So do opt for Ludhiana cabs to Amritsar and arrive refreshed if you want to travel from Ludhiana to Amritsar by car.